Christmas carols are generally heard and listened to for 4 to 6 weeks each holiday then go away for a year. Author Renae Baker believes they can have a positive impact on our lives year-round because they did for her. 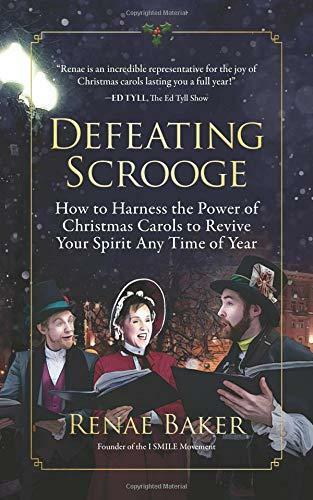 She's on the phone with our Elaine Diehl to talk about her book Defeating Scrooge: How to Harness the Power of Christmas Carols to Revive Your Spirit Anytime of the Year. Local science fiction writer Christopher Bennett has released a new collection of short stories called Among the Wild Cybers: Tales Beyond the Superhuman. Acclaimed author and New York Times Magazine contributing writer Michael Sokolove has turned his attention to the scandalous University of Louisville basketball program for his latest book. Local author and illustrator Loren Long has taken a favorite children's song and turned it into a fun, read-along, read-aloud book.